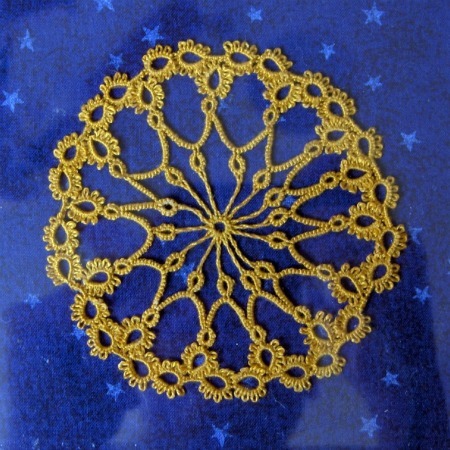 Two weeks is too long to go without tatting, especially if you are just learning. Still, holidays happen and during what should have been last week’s class there was no school. The students had their cardboard shuttles at home, but I don’t think anyone practiced. Nevertheless, we got back together this week and about half of the class has got the double stitch down well. This time I took those students, gave them the real shuttles, and showed them how to make a ring. That means they no longer had two colors of thread to cue them on whether the stitch flipped or not; even still most of them made the flip and could close their rings! After a few tries the rest could close their rings too. For those who are still struggling to form the double stitch, I tried to spend more one-on-one time working with each of them, but we have limited time and there are limited copies of me. Everyone can get it sometimes, but consistency is the issue at hand. 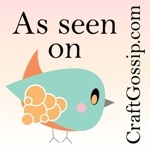 I’m thinking of bringing in a few needles next week and show them needle tatting. 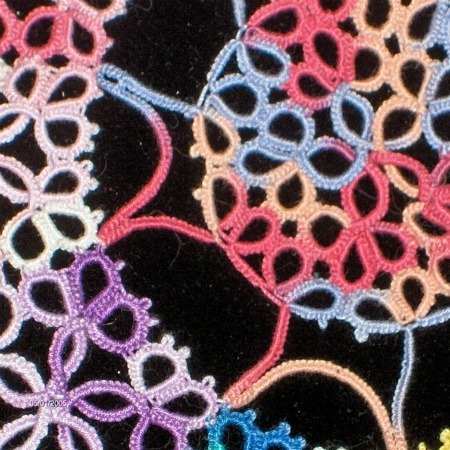 This way they can be successful at tatting without needing to master the flip. However, I’m trying to think of the best way to present it so that it doesn’t come off as, “since you can’t do it right here’s the dummy version.” Because that is not what I mean, and is absolutely not true. I just don’t want them to spend the rest of the semester floundering and I know a couple of the girls are ready to give up. Any thoughts? Needle tatters, speak up! I noticed that I also need that weekly reinforcement of my teacherly lessons, such as managing my time so as to give everyone a chance to get up and move around half way through the class. Yeah, that kinda went out the window this week. I’ll pay more attention next week though. This week I also brought in some new and different colors of thread. The girls get so excited about getting to choose their own colors. Thanks again to those of you who donated shuttles and thread and other supplies. I’m slowly rolling them out and it is fun to see their excitement at getting to use the real shuttles, picking colors, etc. There is no way we could have gotten supplies for everyone without your help!!! Next class we’re going to learn about picots! If you want to show them how many little ends with no point and ugly half formed flowers I made before getting the hang of it, it may cheer them up. I also discuss my frustration with trying to juggle the shuttle and setting up afterwards. I am a super tense person, so the tighter way of holding a needle verses the more relaxed way of handling a shuttle really worked for me. Let them know I am thinking of them and not to give up! 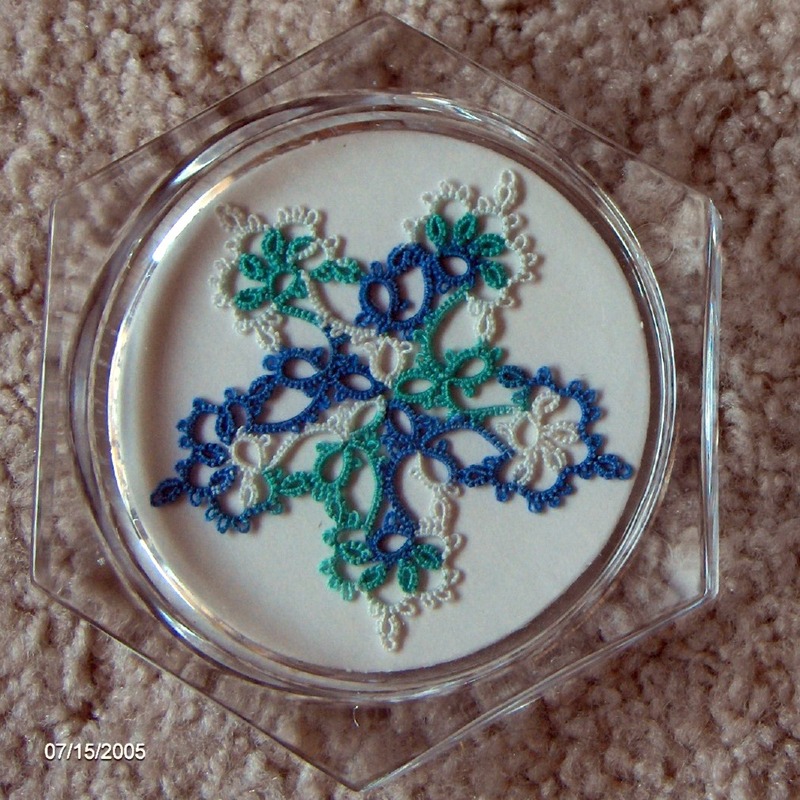 Needle tatting was a way for me to get into a great hobby even though my hands never seemed to want to go the right way! 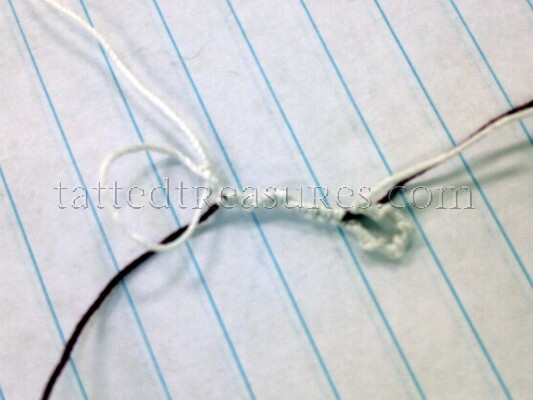 You might broach it this way: Some people are more comfortable using a needle than a shuttle, perhaps because they already knit, crochet, or embroider, and are used to manipulating the thread with needles. It seems to me that the first half of the ds on a needle is like simple casting on for knitting: the second half of the ds is like a cast on stitch in dimensional embroidery. Interesting, I think. 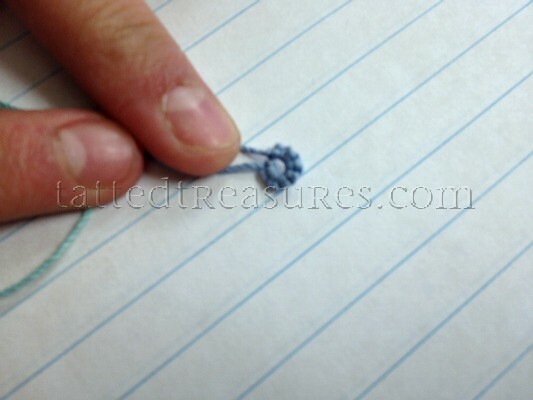 Too, anyone with arthritis might find shuttle tatting difficult because of the way one needs to hold the thread. Thank you all for your great advice. I presented it to the kids as “here’s another method you can try,” and gave them a choice, and they took off with it! There wasn’t any fuss about doing it a different way, or hurt feelings at all. They were just super pleased and proud they could finally make rings. More on this in the next CS class post.